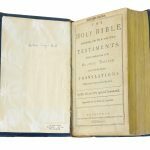 This Bible bears the stamp of Elder Benjamin Seth Youngs, one of the three missionaries sent by Mother Lucy to seek converts ‌in Kentucky and Ohio. 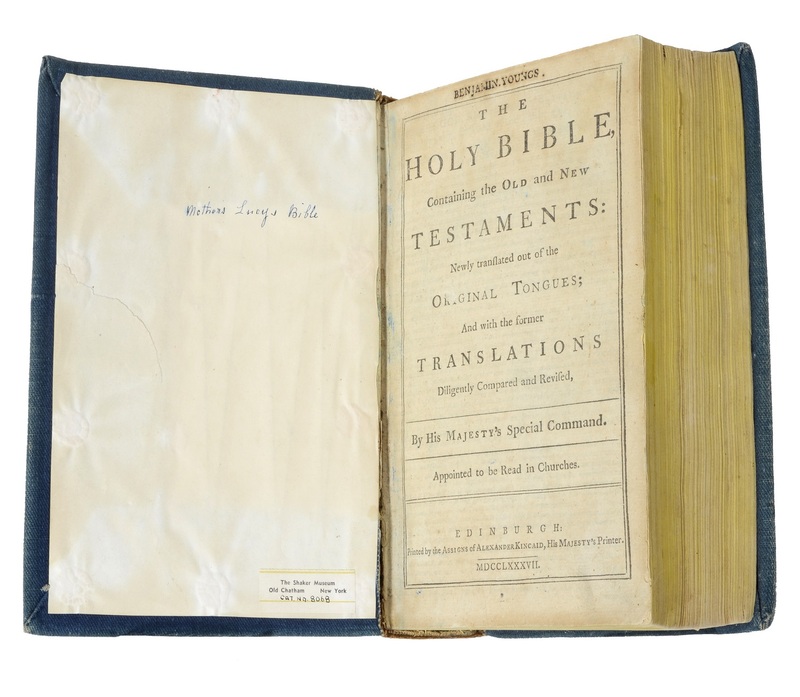 In someone’s hand is written “Mother Lucy’s Bible” on its front fly leaf. 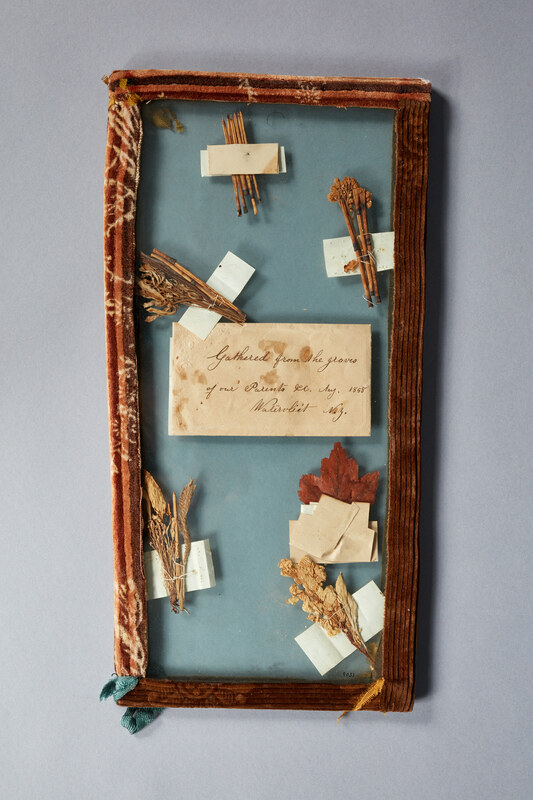 Framed collection of leaves from the graves of the early leadership of the Shaker church including Mother Lucy Wright, Mother Ann Lee, and Father William Lee. 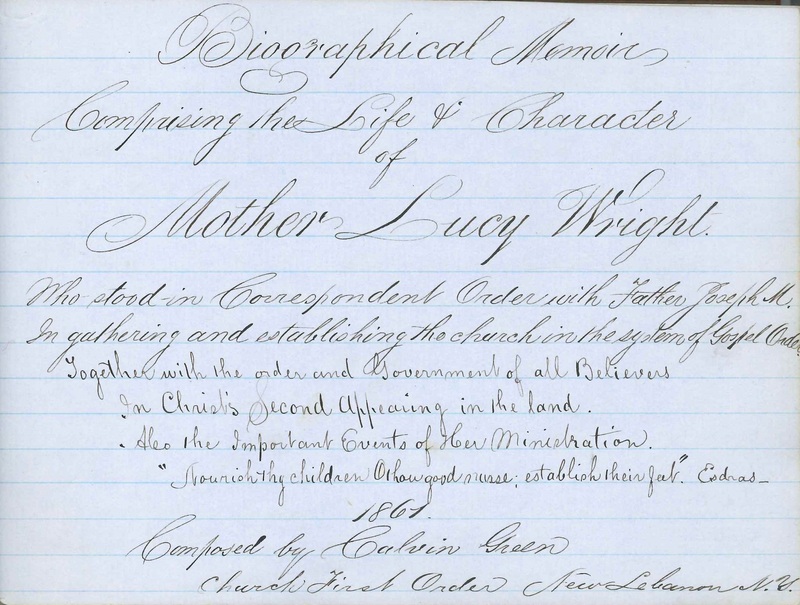 Title page of Elder Calvin Green's biography of Mother Lucy Wright. Our union is our strength; it comes by carefully gathering from every gift. Then let us prize these times of social gathering and strive to have them seasons of comfort and enjoyment. If any one is weary or fatigued by hard labor thro’ the day, and becomes drowsy, let others of the company contribute something cheering and pleasant. After meeting Lucy Wright, Ann Lee reportedly said converting her into a Shaker would be “equal to gaining a nation.” Wright joined the Shakers and worked side-by-side with Lee, becoming her trusted associate. After Lee’s death, Wright became the leader of the Shakers and served in that role until her own death in 1821. 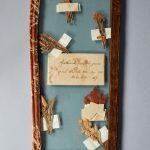 She consolidated an undocumented and still fairly chaotic set of dogmas and practices into a highly structured religion with solidified beliefs and a strict, hierarchical organization that addressed governance of both spiritual life and the economies of the Shaker communities. 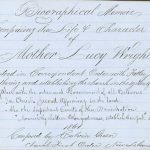 Many religious movements decline after the death of a charismatic founder, but Wright’s leadership carried the Shakers through this precarious transitional period into one of long success and prosperity.